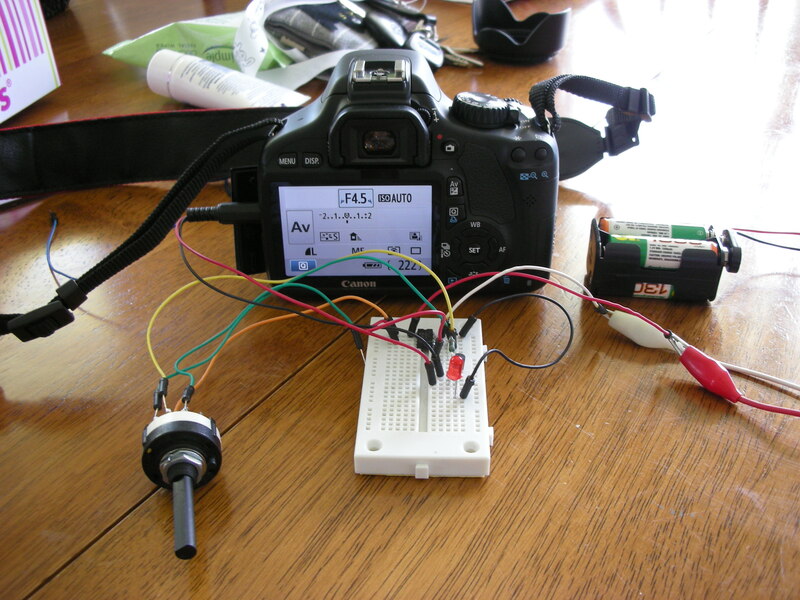 Over the weekend I have decided to make one of my own remote control for my new toy Canon 550D. The 2.5mm circuit is normally open, to focus or shoot, you close the circuit, no external power is required. Instead of using a rotary wire switch, should use something else that changes voltage on a wire, therefore I can adjust the interval by reading the voltage.